America, this is your on-site advantage. No one delivers more on the exhibit floor. 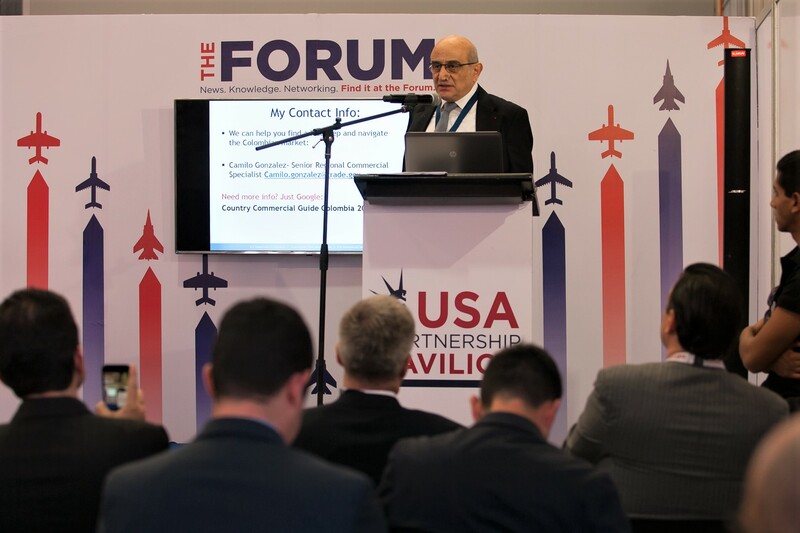 At trade shows around the world, Kallman’s flagship service, the USA Partnership Pavilion, is America’s full-service, business-to-business headquarters; the on-site hub of the U.S. export community. Prime space, quality designs, professional amenities and staff — plus exclusive events and programs — make the Pavilion a perennial first-choice for show visitors and exhibitors alike. 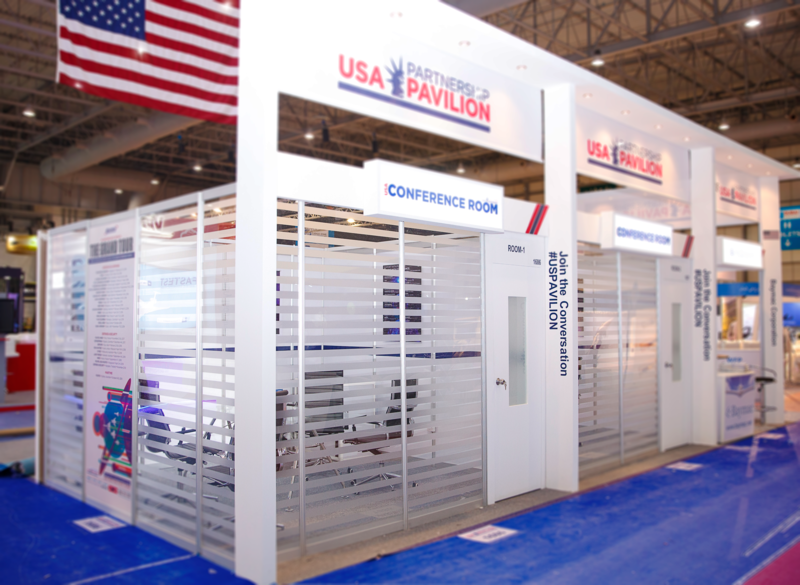 Built on the idea that an organized group of American exhibitors is easier to find than stand-alone booths scattered throughout a show, the USA Partnership Pavilion always attracts a crowd. Inviting, professional destination for international buyers and influencers looking to meet the industry’s most innovative partners and suppliers. Long before exhibitors at-large gain access to their locations, Kallman can lock in yours. Our long-standing organizer relationships and success managing their square meters have established the Pavilion around the world as a major event attraction and asset. That reputation gives us first dibs on the show’s most desirable real estate, and assures you front-of-the-line preference for the best space in the place. From first concepts to finishing touches, our global network of professional designers, suppliers and builders stands ready to deliver our best for your brand. 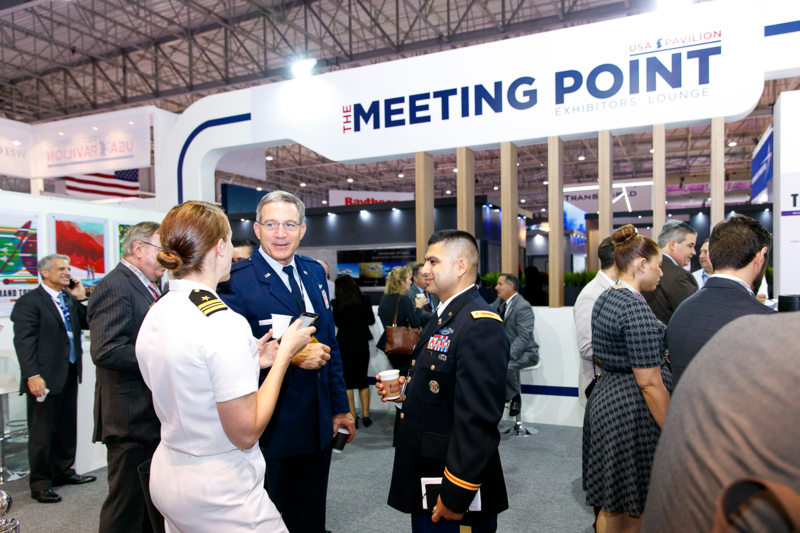 Whether you’re looking to build a small-scale sales and promotional stand or a larger multipurpose presence, the USA Partnership Pavilion offers three booth options to fit every purpose at any price. Get in on the ground floor with this raw space option. You’ve met us through various pre-show negotiations and communications. Now put us to the test on site. 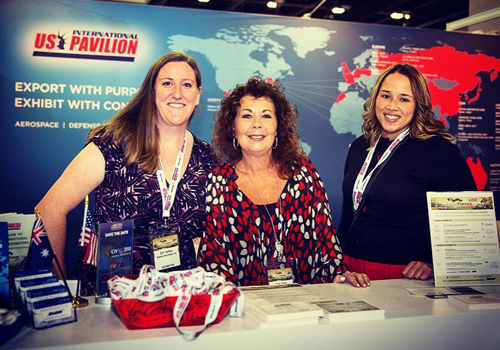 Every USA Partnership Pavilion is staffed by an experienced event team dedicated to ensuring your success. Whether you need a liaison to the organizers, tech support, a contractor, caterer, translator, printer or help tracking down a shipment, Kallman professionals are on site to help. Welcome to your Exhibitor Lounge. At the crossroads of the Pavilion, the Meeting Point is an exclusive gathering place for exhibitors and their guests to take a break from the show floor, refresh and recharge. Grab a cup of coffee and a snack from the Cafe and catch the latest industry headlines at the Newsstand. You’re also welcome to juice up your phone or tablet at the charging stations, plug into a printer, or just pull up a chair and chill. Exhibiting as a multi-unit corporation, professional membership association or economic development group? You may find economies of scale in building your own “pavilion-within-the-Pavilion” to showcase distinct business units, affiliates or investors under your unified “master brand”. It’s a great solution for stretching your budget, raising your profile and including more partners who perhaps can’t afford to go it alone (yet!). In fact, there may even be subsidies available to underwrite their actual costs. For example, under the U.S. Small Business Administration’s State Trade and Export Promotion (STEP) program, states can apply for matching funds to help qualified exporters cover up to half of their expenses at overseas shows. Work with Kallman to figure out your footprint, subdivide your space and make the collective case to your constituents or members for this cost-effective, co-op option. If the Meeting Point can’t accommodate your needs, Pavilion Conference Rooms may be reserved on a first-come, first-served basis by exhibitors who need a private space for confidential team or client/prospect conversations. If it’s on our schedule, you’re invited. As an exhibitor in the USA Partnership Pavilion, in addition to official show events you also have exclusive access to official Pavilion events. 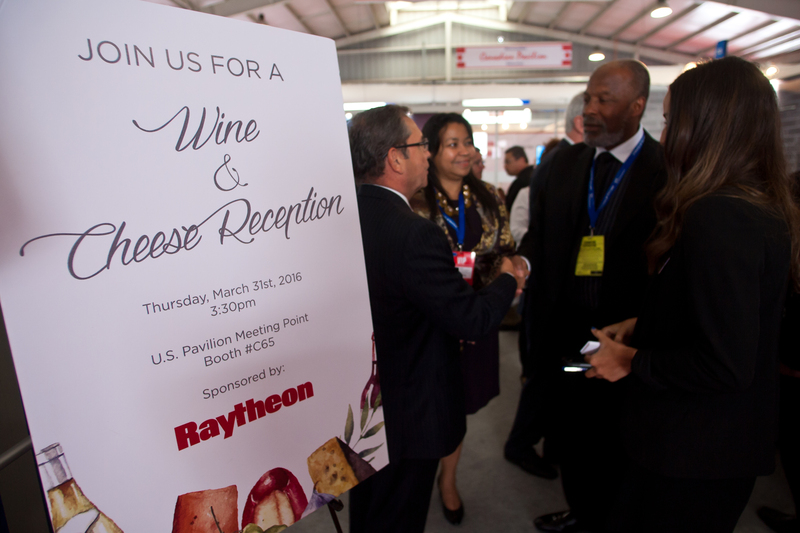 The festivities typically start with our Opening Ceremony and Ribbon-Cutting on Day 1, and continue throughout the show with a schedule of off- and on-site VIP and hospitality receptions, business and market insight briefings and special presentations. Kallman puts considerable media and marketing weight into getting you noticed. 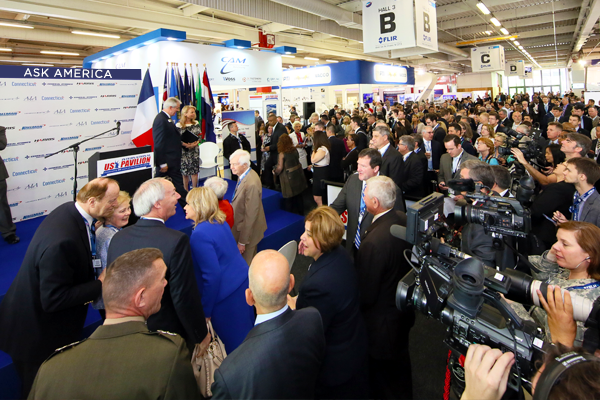 Our “Ask America” on-site advocacy campaign provides multimedia air cover for the total U.S. presence, plus opportunities for individual exhibitors to grab more of the spotlight for themselves. Complimentary PR and media relations support and paid advertising and sponsorship options are available to help build your brand beyond your stand. Find it at the Forum. At select shows, the Forum is the Pavilion’s live event and presentation space. Each edition features a scheduled program of select public- and private-sector thought-leaders presenting during the trade days of the show. Check our show pages for event-specific Forum opportunities, and plan to attend, present or sponsor to take full advantage of this exclusive Kallman feature. Arab Health has become one of the key “must-do” events globally. On behalf of the U.S. Commercial Service, U.S. Embassy Bangkok, I would like to thank you for organizing the U.S.